Several planned projects are on hold waiting for a power export agreement with the UK. The Republic of Ireland's existing operational offshore wind capacity is small, at just 25.2MW. The seven-turbine Arklow Bank came online in 2004 and might have heralded the beginnings of large-scale growth in capacity. But the 2008 financial crisis, recession and other factors stalled activity and no offshore wind capacity has been added since. Ambitious plans still exist for a capacity growth in Irish waters - including an expansion at Arklow Bank - but their coming to fruition depends largely on Ireland reaching an agreement currently in negotiation with the UK on the export of power via the East-West Interconnector. Without that, the addition of any capacity by 2020 is highly unlikely. If export markets are opened up, the 330MW Oriel project planned off County Louth could be at the forefront. Permitting is largely in place and a UK-Irish agreement would trigger the 55-turbine project's progression. A 2017 online date is considered feasible. 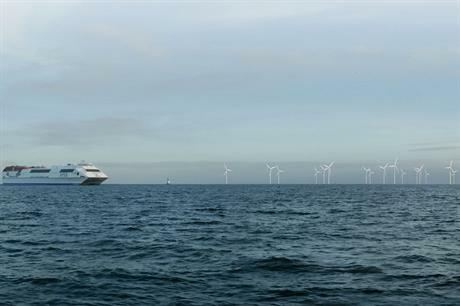 The proposed 220-turbine Codling Bank offshore wind farm could add a further 1.1GW. Planned for a site off the Wicklow coast, it could be online by 2020. Codling Bank Extension could add a further 1GW over the longer term. The planned 520MW Dublin Array project is also "progressing well", according to the developer, Saorgus Energy. Consideration of the lease application is awaited, but Saorgus is also waiting for agreement on electricity exports and an online date remains unclear. Galway-based Fuinneamh Sceirde Teoranta is planning a 100MW offshore wind farm at Skerd Rocks, 5-8 kilometres off the coast of Carna, County Galway. The project - the only one proposed off the west coast - awaits approval and is unlikely to be online by 2020.